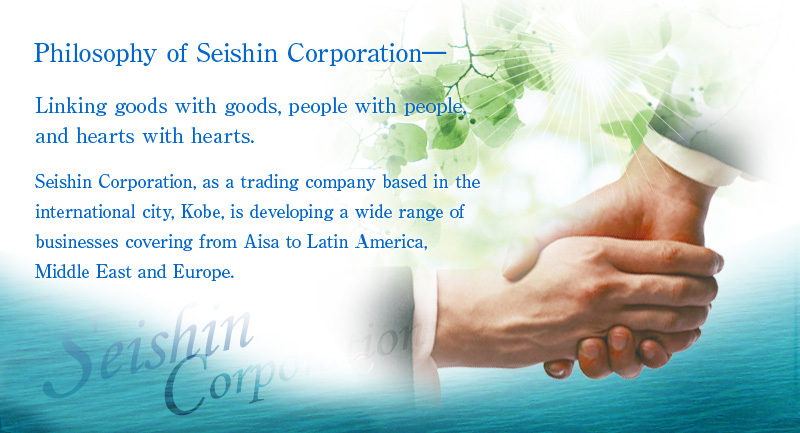 The company profile of Seishin Corporation is presented. The products handled by Seishin Corporation are introduced. Seishin Corporation is engaged in a wide range of trading businesses mainly in Southeast Asia and other areas including Latin America, Middle East and Europe. Please do not hesitate to contact us by e-mail if you have any questions concerning our goods and businesses. Copyright © Seishin Corporarion. All rights reserved.